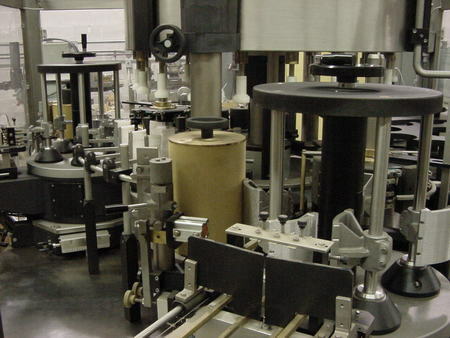 Canadian-owned and operated manufacturing specialist of labeling equipment and container sleeve equipment, SPS/PHIN Limited is celebrating its 10th anniversary this year�even though its roots are six decades old. SPS/PHIN was formed in 1999 when Hugh McCrie and a partner purchased Stackpole Packaging Systems (SPS ), who also owned the rights to the PHIN brand name of labeling equipment that produced the first automatic excise tax stamp applicators for the liquor industry shortly after WWII. However, despite a moniker that links it to the past, the Toronto-based company has modeled itself to be one-step into the future, providing modular application equipment that not only works for the customer today, but can easily utilize modifications to work in the future. �We�re not the most inexpensive manufacturer of specialty labeling equipment, but I guarantee we will get it right by giving the client exactly what they need,� explains McCrie. While one might argue that the secret to SPS/PHIN�s success would be its dedication to meeting industry requirements in terms of label placement accuracy, multiple label application and mixed technology systems, McCrie believes the company�s success has been earned through its policy of always providing a value-added service to its customer. �Let�s face it�a machine is a machine is a machine. Despite the bells and whistles that enable one to differentiate one from another, what truly separates a successful company from the competition is how it treats the customer after the money has changed hands. It�s a mind-set that SPS/PHIN has held for the past decade�and one that will continue to drive it successfully in the future. For more information on SPS/PHIN, please visit www.spsphin.com .